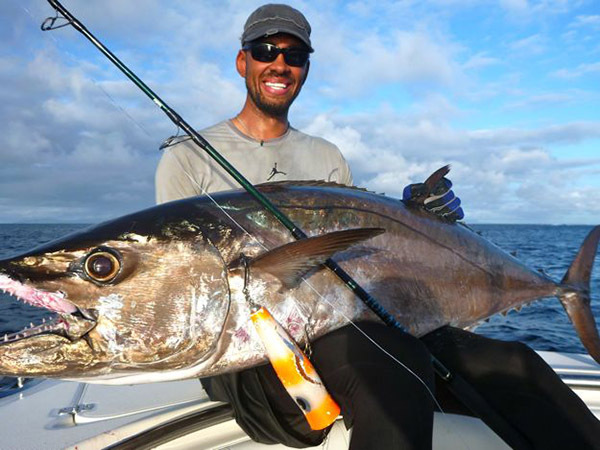 Normally the name Jared Jeffries brings to mind an 11-year career in the NBA, but soon you will also associate it with big fish crashing poppers from the surface of a distant reef or lagoon. Jared shared with me, in a recent interview, his plans for a new fishing show called Modern Fishing. 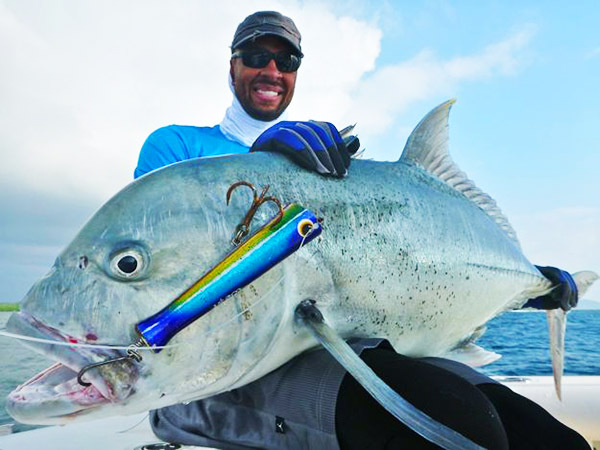 The capabilities of modern rods and reels, coupled with the tensile strength of braids opens a whole new way to fish for any type of fish. Vertical jigs and poppers are his favorites and will be the focus of the episodes. 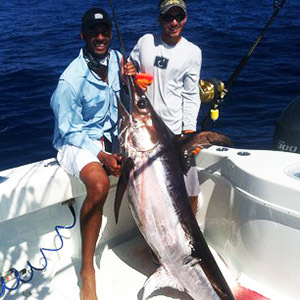 Jeffries’s fishing started while growing up in Indiana, but when he came to Florida for the draft in 2001, he was exposed to saltwater fishing. 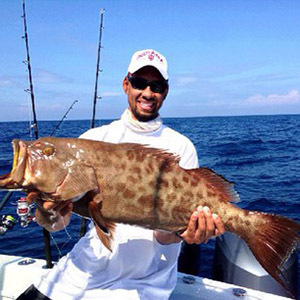 A grouper trip in the Gulf left him wanting more, and after a trip for marlin and tuna he knew he was hooked. Now in the off-season from basketball, you will find him travelling the world for big game adventure. He already has quite a list of destinations checked off, including Vanuatu, Panama, Mexico, Puerto Rico, Cape Cod and Venice, Louisiana to name a few. He also has plans to catch swordfish on a spinning outfit. His show will air in June of 2014 on the Sportsman Channel. You can also follow him on Facebook and Twitter. Just keep in mind that when you see him pose with a fish, the fish isn’t small, he’s just 6′ 11′. He said that has always been a problem. Our thanks to Jared for the interview and we’ll be watching for more Modern Fishing.